2006 / Spobs Music, Inc. 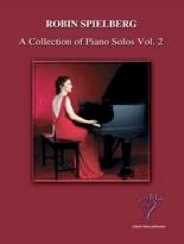 This collection of piano solos is gathered from seven of Robin Spielberg’s CDs, going all the way back to her debut, “Heal of the Hand.” I have and often play from all of Robin’s songbooks, but this is my favorite. (A big plus is that it is spiral bound and won’t jump off of the piano or need propping to stay open!) Robin utilizes all of the piano keyboard in her music - especially the upper registers - so the player should be comfortable with playing the full range of the piano. Most of the pieces will be suitable for upper-intermediate and early-advanced pianists, and most competent players should have no trouble mastering the thirteen beautiful selections. 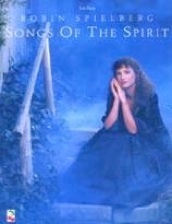 The collection includes Robin’s arrangement of “The Water Is Wide,” and the other pieces are original compositions. 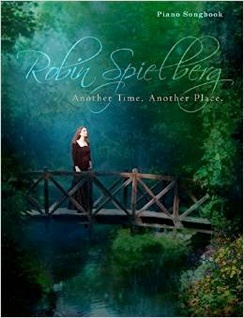 A few of my favorites to play include “Latenight,” “Windows In the Dark,” “Dancing In the Quiet Rain,” “Meditation,” “Take the Time,” and “Walk With Me.” This book is a delight and is available from robinspielberg.com.